A “much valued and unique” award-winning regional farming reporter has died aged 82. Tributes have been paid to Meyrick Brown, pictured, who was a frequent contributor to the Western Telegraph farming pages, as well as the specialist publications Pembrokeshire Farmer and Wales Farmer. In 2009, Meyrick was named Farmers Union of Wales Agricultural Journalist of the Year. He died suddenly at his family home in the Pembrokeshire village of Llandeloy on Monday 14 May. 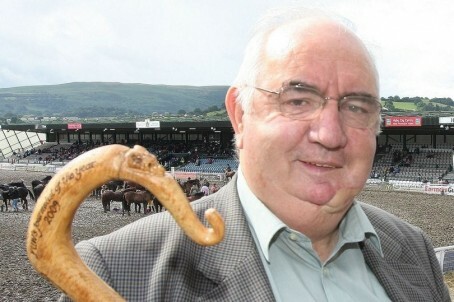 Eifion Jenkins, the Telegraph’s farming editor, said: “Meyrick was a much valued and unique contributor to our farming pages and specialist publications. He had a deep appreciation of the countryside, our rural way of life and the importance of farming to it. “Most importantly he was able to convey that knowledge in the articles he wrote for us – whether that was the intricacies of a ploughing match or the winning qualities of a dairy heifer. “He had a keen interest too in bygone days and his historical articles had a unique authority thanks to his lifelong journalistic perspective. Meyrick was married to Janet and father to daughters Angela, Lynn and the late Helen, and also had five grandchildren.